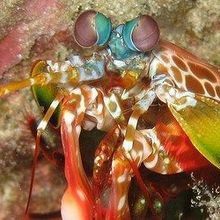 Aggressive little marine predators, mantis shrimps possess a mushroom body that appears identical to the one found in insects. 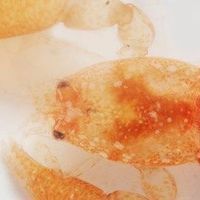 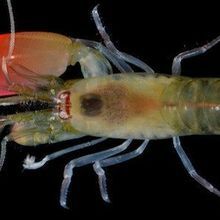 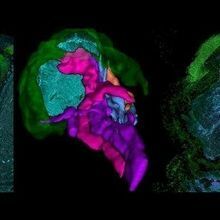 By rapidly snapping its large claw shut, the newly discovered pistol shrimp, Synalpheus pinkfloydi, can create enough sonic energy to stun—even kill—small fish. 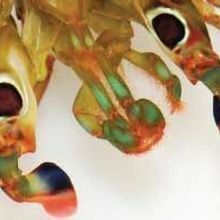 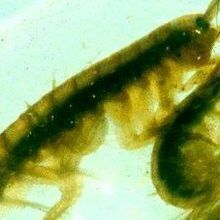 A microscopic invader ramps up the tendency of adult Irish river shrimp to eat their young. 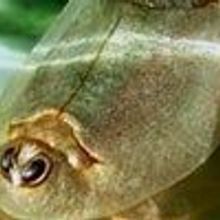 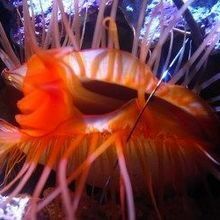 The mollusk’s flashy tactics scare off predators.